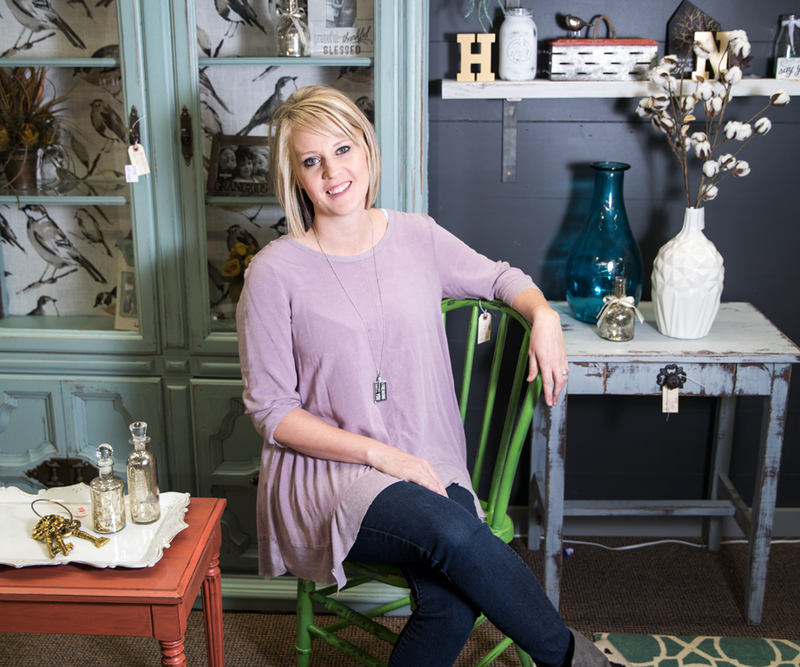 Don’t expect to find any tired, old-fashioned furnishings at Ozark's Little Bluebird Vintage Boutique. Open Mon.–Sat., 10 a.m.–5 p.m.; Sun., 12 p.m.–4 p.m.
Pinterest makes it look simple, but pulling off an artful mixture of vintage and modern pieces in a real-life home can be a tricky task. 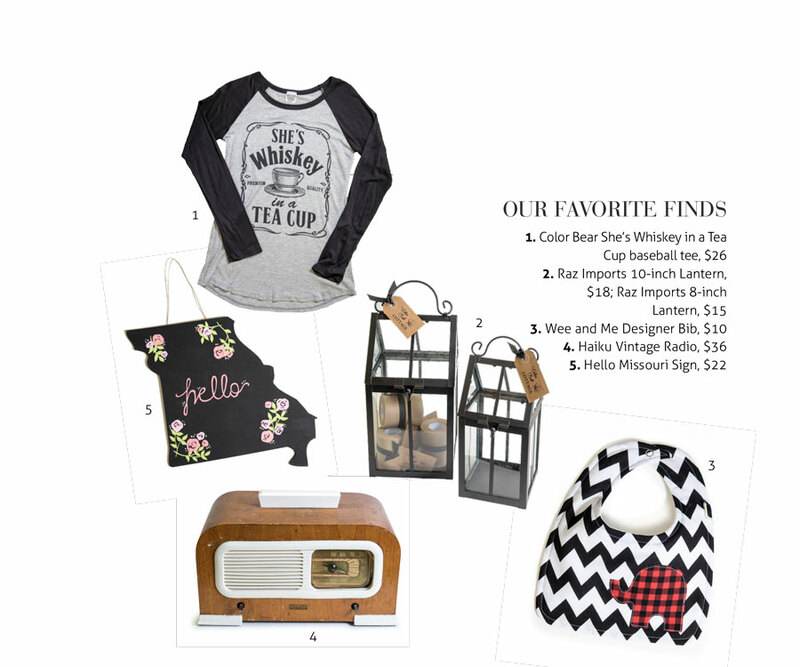 But a little bird told us that for those seeking to effortlessly strike that balance, Little Bluebird Vintage Boutique, a charming, inspiringly stylish shop in Ozark, is a must-visit destination. Formerly called Daisy Mae’s Vintage Home, Little Bluebird carries a rotating array of new, vintage, refinished and handcrafted items like furniture, housewares, artwork, jewelry, clothing and others from more than 60 local small businesses, each of which leases a space within the store. 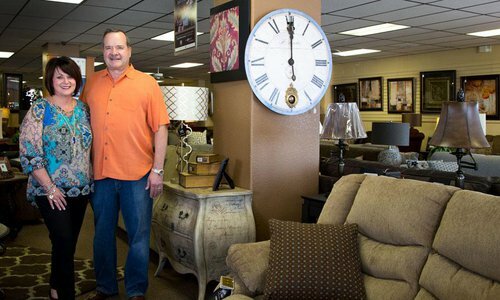 “I can’t tell you how blessed I have been over and over and over again with the people that God has put in line for me to fill these spaces,” says owner Mandy Mackey. 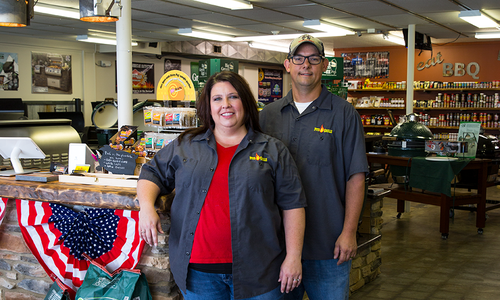 Once a vendor at Daisy Mae’s, Mackey bought the store in 2014 when the original owner needed to move out of Missouri. 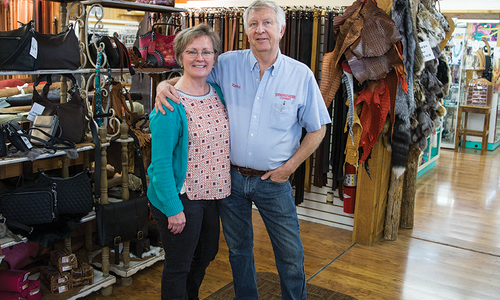 Mackey still crafts all kinds of items herself (a portion of the store carries her own furniture and other creative handiwork) and is happy to provide a space for other goods from other local craftspeople with a similar eye for style and craftsmanship. “I would love to have always had a storefront, but I was never able to have a storefront with [just] what I made, so this provides a way for people to have that storefront without all that overhead in one location,” she says. 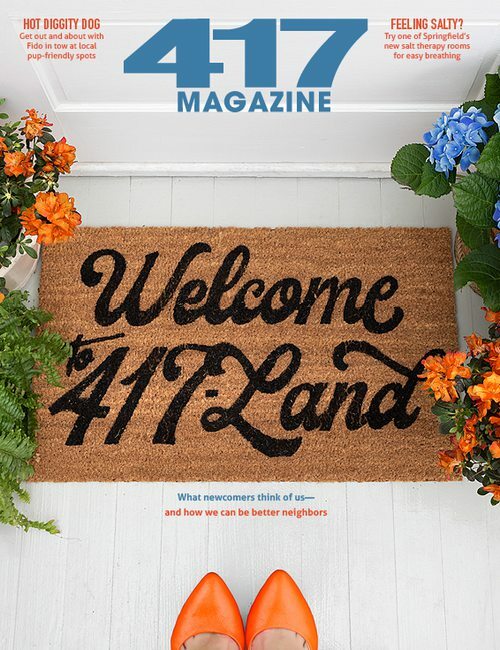 417 Magazine: When you bought the store, why did you rename it Little Bluebird? 417: Do you have any tips for incorporating vintage flair into a home? M.M. : I would say start with a [refinished] furniture piece. There’s nothing more fun than taking something that you absolutely hate and slapping a little paint on it and turning it into something new and gorgeous. It’s very trendy but you are recycling. It’s vintage. It’s definitely popular. If you don’t have a piece, come pick from our selection. 417: How do you add antique pieces to a room without it feeling old-fashioned? M.M. : It is definitely about balance. You kind of have to just take maybe that one vintage item and incorporate it with a cluster [of pieces] of your style, whatever it is that you do. It’s just a matter of mixing it and kind of having an eye for it. But you can come in here and get so many ideas, too, because we try really hard to stage our spaces. They are full, but they are staged in a way where you can visualize something in your home. 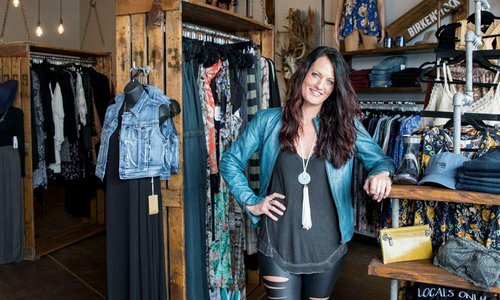 This Branson boutique is helping women look and feel their best and helping with more than just their closets.